We are confident we can meet your waste removal needs. Meeks Environmental Services is a family owned and family operated business. We are also a full-service, highly qualified waste removal company. From residential septic tanks, to 10-gallon grease interceptors for restaurants, to million gallon tanks and lagoons for industries, schools, and municipalities, truly no job is too small or too large. 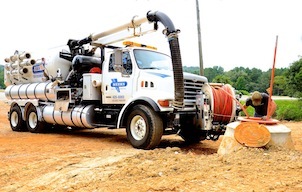 With a fleet of trucks each having a two-man crew, Meeks Environmental serves a wide variety of pumping and hauling needs across North Central Alabama. 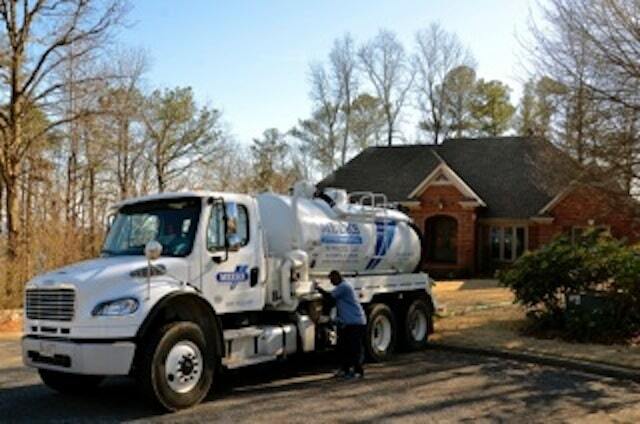 We can provide septic tank, grease trap and pump tank cleaning, mortgage company requested inspections, tank locating services, pump repair / replacement, peat moss system maintenance and more…. Among the variety of services we offer, we can also provide storm drain jetting & vacuuming, sludge removal from small tanks to large holding ponds, dewatering, camera inspections, hydro-excavating and lift station pumping…. Our commitment to quality and professionalism sets Meeks Environmental above the competition! “Great business to work with. I have dealt with David and Steve Meeks himself and would never hesitate to refer them to anyone. You won’t find a more honest company and people to work with. Plus 60 years in business! That is rare today.” – Cindy D.